Who’s excited for summer swimming? You can finally get out of your gym or neighborhood pool and explore other great outdoor options to cool off from the hot sun or relax under the stars. We’re going to help your imagination run wild by giving you these amazing swimming places to try! 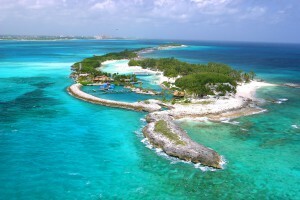 Located 5 kilometers from Nassau, Blue Lagoon Island is accessible by boat. There are tours that land there for the day for lunch, dolphin and sea lion viewing and tons of swimming! This secluded island is filled with tropical plants and animals, so you will truly feel like you’ve reached paradise. This water is a little colder because of the amount of snow Wyoming gets in the winter. The view is gorgeous, though, with plenty of vegetation in the summer. 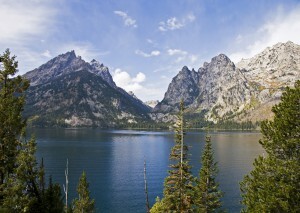 It would be a perfect cool dip after hiking in the surrounding Teton Mountains! 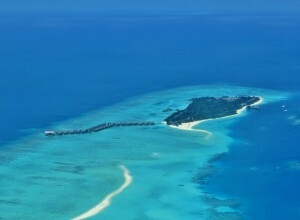 Known for its clear water and sandy beaches, the Maldives are a must visit! Imagine swimming through these incredibly blue waters. There are plenty of opportunities to scuba dive here too, so you get to visit life under the sea as well. Hot springs are just nature’s hot tubs. 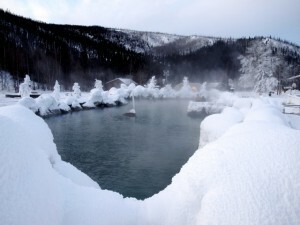 It’s best to wait for the summer day to cool off before heading to Chena Hot Springs in Fairbanks. It’s the perfect place to unwind, as it was discovered to be used for joint pain relaxation! This gorgeous swimming hole is connected to the nearby ocean by a lava tube! Feel the waves and relax by the greenery. The ladder down is steep, but coated with non-slip material to prevent accidents. The pool is located in Lotofaga village. Tell us what you think! Where would you go to explore new waters?